We can’t even count the number of times I’ve witnessed a thriving food business trapped in the stone age with a legacy point-of-sale system, or even worse… an old fashioned pen and paper. For those who don’t know that POS stands for, no it’s not “Piece-of-Sh*t,” even though that might be what you’re thinking as you pull your hair out, mashing buttons and clicking away until the dusty old printer spits out a receipt. POS stands for “Point of Sale,” and the industry is undergoing a reckoning after years of abuse from primitive digital systems. Ever watch a server hammer items into a touch screen with the corner of a credit card or employee swipe card? Those ancient touch-screens offered by NCR (Aloha) and Micros (now owned by Oracle) require maximum pressure and deliver minimum functionality. Today, many businesses are launching with the POS platform Square, an off-the-shelf system that provides more data than some of the most advanced legacy systems despite extremely affordable hardware costs and nearly no monthly fees. What could be better? Still, some business owners fret about what happens when they grow and all of that data belongs to Square? Or, what happens when they start opening more locations, or want to offer online ordering integrated with their POS? Although Square does offer competitive transaction rates and financing options for these businesses, competitors such as Breadcrumb (now Upserve POS) and Toast increasingly offer in demand features for thriving food and beverage businesses. On the other hand, one of Science’s biggest and fastest-growing customers has successfully grown their service model around Square’s highly-portable, mobile approach. But it’s not the solution for everyone, particularly those who are building their online delivery business with many of the services developed outside of the Square ecosystem. As part of our research we visited a burgeoning quick-service empire where POS and tablets are far from a new discovery: Si-Pie Pizzeria, specifically the East Lakeview, Broadway location. It’s important to note that this is only one of business owner Simon Mikhail’s physical business locations. In partnership with the online ordering platform UberEats, Simon is preparing to launch numerous virtual restaurant businesses (and that’s not just pizza!). These “restaurants” will function as separate digital online menus while the food is all cooked out of one kitchen. The list of Si-restaurants includes Si’s Chicken Kitchen, Burger Mania, Wraps City, Med-Mex (Mediterranean/Mexican), whatever your late night food needs might be, he’s got it. But keep in mind, the menus for these virtual businesses are only available online. 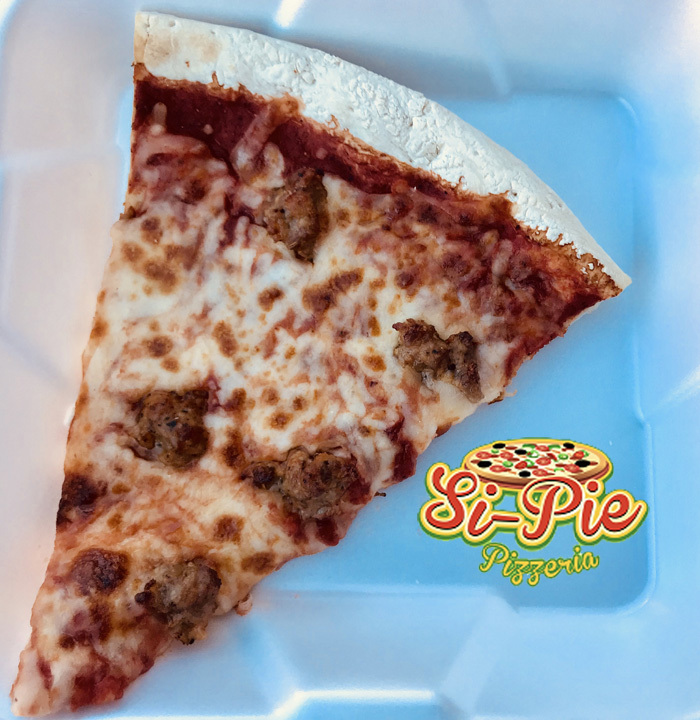 For walk-ins you can still grab yourself a tasty slice of Si-Pie. When you Google Si-Pie you’ll find a full page of search results listing nearly every major online ordering platform: Grubhub, UberEats, Caviar, Yelp, EatStreet, Doordash, Postmates, Seamless, Ritual, Slicelife and Eat24. If you ever wondered if there was a limit to the amount of online ordering systems you can sign up for, Simon would probably say no. His current location sports a total of 15 tablets which are proprietary to each online ordering platform. His new location is expected to run nearly 60-70 tablets, maybe that’s an exaggeration... but we can’t be so sure! We’ve met many business owners struggling to find a balance in the digital ordering world where Si-Pie isn’t concerned, in fact he’s thriving. One would think there MUST be a way to integrate all of these systems into one platform. According to Simon, most companies that claim to have a solution have failed him. And POS systems have yet to build a solution for a business like his operating virtually through +10 different platforms. Currently operating on Clover POS he has been satisfied with the system’s overall capabilities. And for now, Simon is confident in his lean staff and their ability to receive tickets for all orders even on a busy Saturday night between 5-10 pm. As long as the tickets print and the slices are served… no problem! We came for the juicy details and stayed for the juicy pizza, just until the cheese rep showed up.